When it comes to food, Italian’s can do no wrong! Pizza, pasta and risotto are just a few well known favourites in Italy, with each dish deriving from different regions of the country. Love for Italian cheese dates back centuries, all the way to the time of Ancient Rome. Despite the endless list of amazing Italian cheeses, for us, Gorgonzola takes first prize. It has succeeded in melting the hearts of cheese lovers everywhere. Historically, the cheese was produced in the Milanese town of Gorgonzola, and so was named after it. Now, because of EU laws, it is only produced in a few northern provinces, mainly Piedmont and Lombardy, making the cheese extra special! If you have never tried it before, it is rich, creamy and delicious! Made from pasteurised cows milk, it is a blue cheese that is pale yellow in colour. The punchy flavour comes from the blue mould veins that is threaded through it. Gorgonzola comes in two different styles: Dolce, which is sweet and creamy or traditional and more mature Piccante. Crumbled over salads: For more mature Gorgonzola, this is the perfect way to enjoy it without it being too overpowering. My favourite salads parter it with avocado and walnuts… yummy! Melted into risotto: Due to its addictiveness, an endless plate of risotto is the best way to get your fill! Gorgonzola sauce: The creaminess and flavour of the cheese is perfect to drizzle over steak or dip your chips into! If you ever get the chance, make sure you take a trip to the home of Gorgonzola in Northern Italy and experience it the way Italians love to! 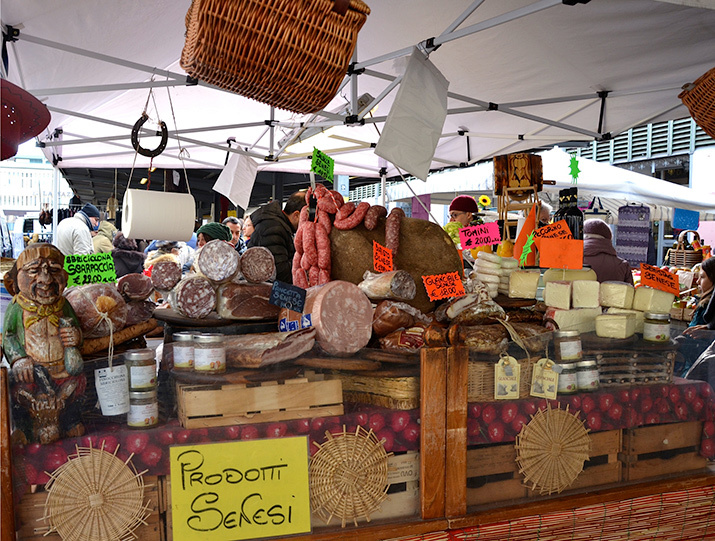 The best place to sample some authentic Italian cheese is in the famous Florentine food markets, where you can wonder up and down the market stalls taking in the atmosphere and smells of the local cuisine. What goes best with cheese? A glass of Italian wine! 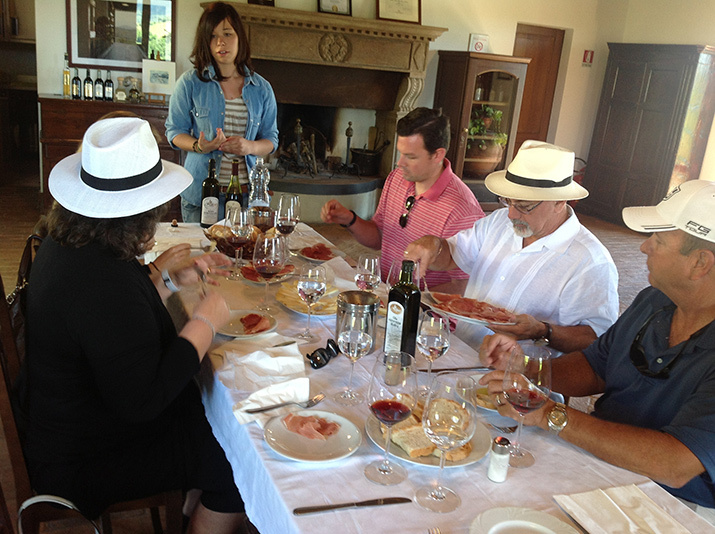 The region of Tuscany in particular is famed for it’s wine producing, and we offer a number of Italian food and wine tours. Sit back and wander at the enchanting Tuscan hills, as you take a Chianti wine tour. The local produce is always the freshest and best. Top it all off with a delicious lunch - we recommend ordering the Italian cheese! Find your perfect tour at Avventure Bellissime - we look forward to welcoming you on your next Italian adventure!